Although I have tuned countless carburetors over the years by “ear”, I decided I wanted to make sure I had tuned my trucks new carburetor to be as efficient as possible. Especially since my hearing is NOTHING like it used to be! 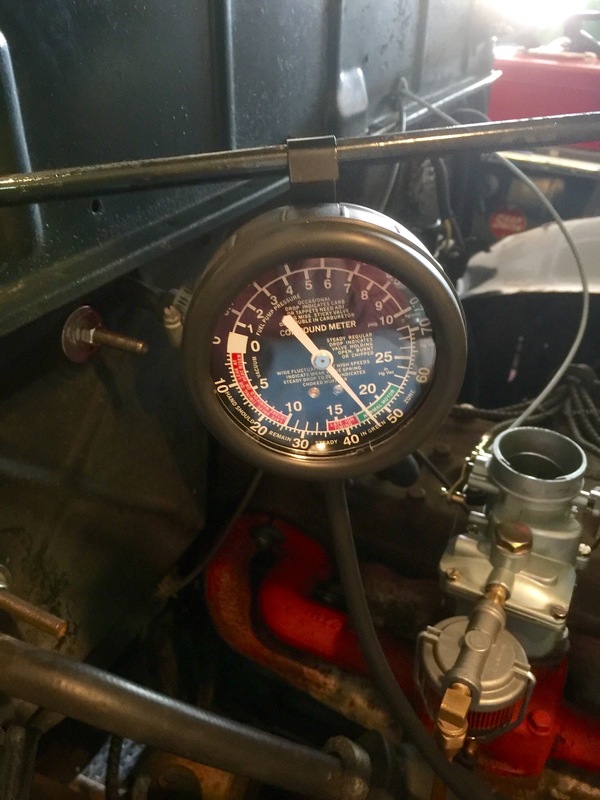 The next step in carburetor tuning is via a halfway decent vacuum gauge. You connect the gauge to a vacuum source – in this case I connected to the line right off the intake manifold that runs to the vacuum advance unit on the distributor. I immediately saw a wobbly reading of approximately 16.5 inches of vacuum. After adjusting the mixture, it rose to a little over 18 (you want to see between 18-20 or so) and was pretty steady. Also, the periodic “puff” in the exhaust decreased, which was good. 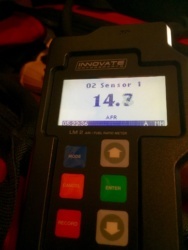 I decided, based on some reading, to invest in an air/fuel ratio gauge (Innovate LM-2 / I can use it on my motorcycle as well) and upon connecting it, saw between 16-17. This was quite lean as the optimum ratio is 14.7, and in reality should be between 13 and 14 for most vehicles. 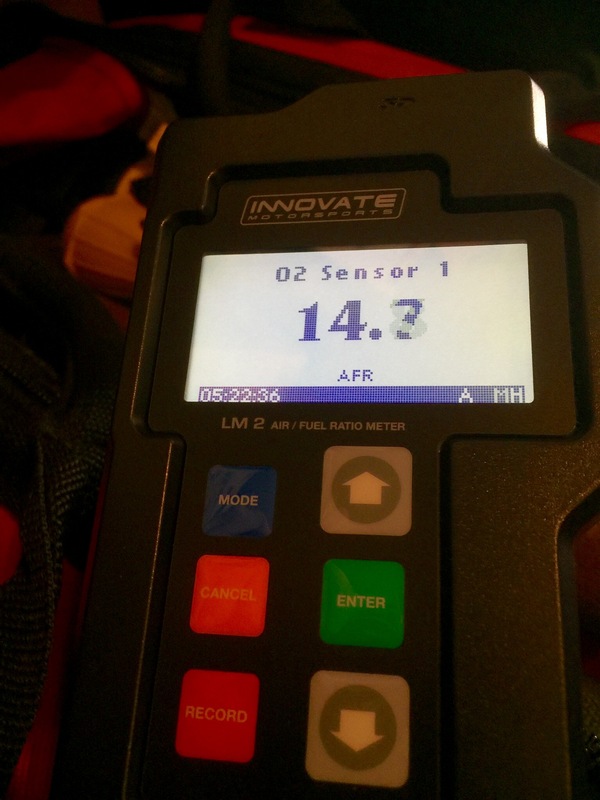 After further tuning, I was able to achieve 14.5-14.9, with an average of around 14.6. Any further changes would need to be via changing jets in the carb. I tested the air/fuel ratio at idle, at 2,000 rpm and at approximately 3,500 rpm with pretty consistent results, so I am very happy for now. 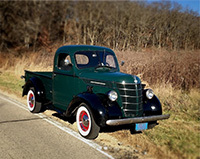 The pickup, when pressing the accelerator, is instantaneous, without any missing or grumbling from the truck. Best of all, that annoying “puff” that seemed to occur randomly stopped altogether. I am very happy with the gauge, its ease of use, and the results I achieved with it! By the way, since I didn’t want to weld a bung in my exhaust for the oxygen sensor, I purchased the optional exhaust clamp. 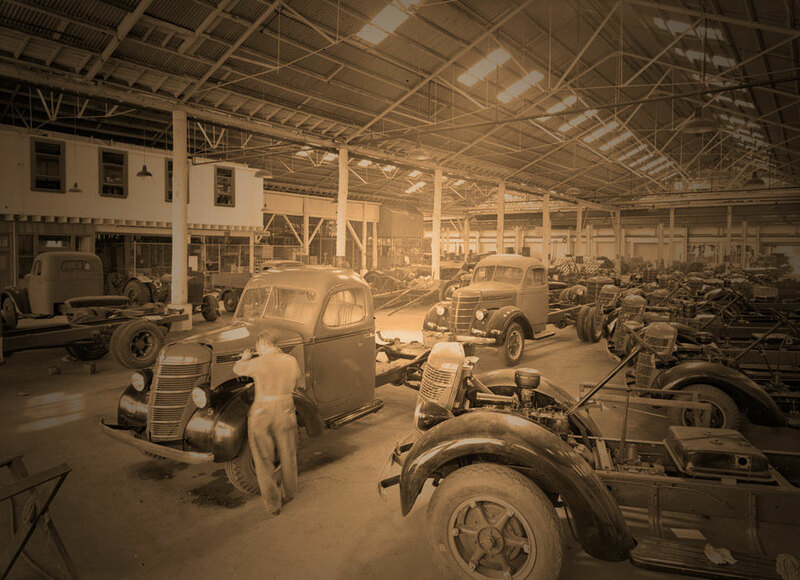 Easy to use and can be transferred temporarily to any vehicle.